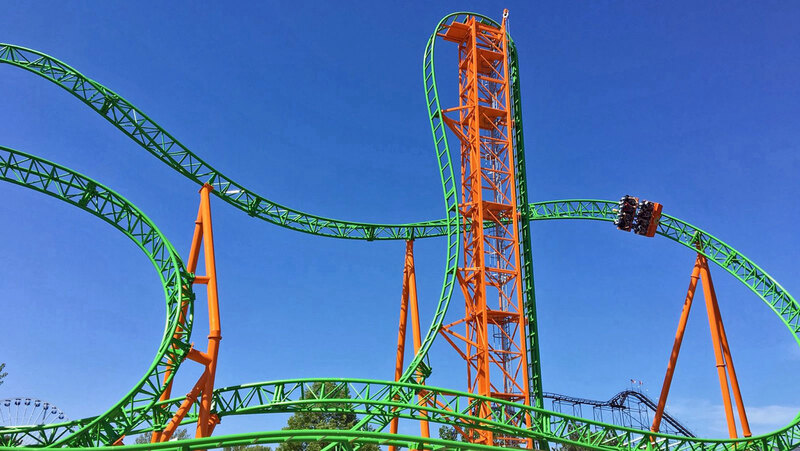 June 1, 2018 – Darien Lake opened Tantrum, the park’s new Gerstlauer Euro-Fighter and their first roller coaster to open in a decade. The ride features a 100 foot tall (30.5m) vertical lift hill with a 95° drop, an Immelmann inversion and reaches speeds up to 52 mph (83.7 km/h). This Euro-Fighter 380 model is a clone of the Iron Shark coaster at Galveston Island Historic Pleasure Pier near Houston, Texas. The last coaster to open at the park was Orange County Choppers MotoCoaster, now simply called Moto Coaster, in 2008. 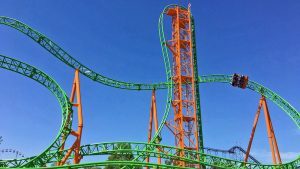 The opening of Tantrum comes just weeks after Six Flags announced that the chain had entered into a purchase agreement with affiliates of Premier Parks, LLC to acquire Darien Lake. Six Flags had previously owned the park from 1999 through 2006. See our members’ reaction to this new coaster in our Forum discussion. This entry was posted in News and tagged Darien Lake, Euro-Fighter, Gerstlauer, New York, Tantrum. Bookmark the permalink.